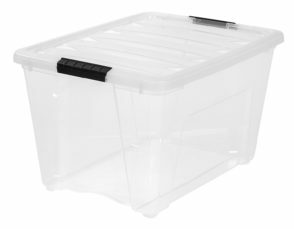 Large storage containers are a must for long-term storage. We use these containers for things like holiday items and hand me down clothing for the kids. If something’s going to be stored in our basement, I feel more comfortable with it protected in a secure container. 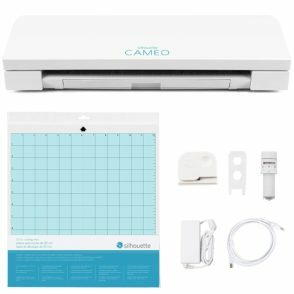 The Silhouette Cameo is one of my most favorite organizing tools. It has a ton of uses, but my most favorite is that it’s easy way to make custom labels for food storage containers and other things around the house. 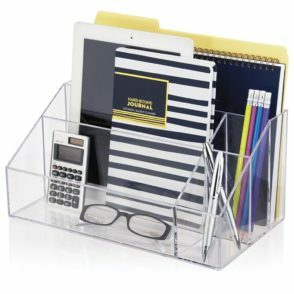 Acrylic organizers are great for so many areas of the house. 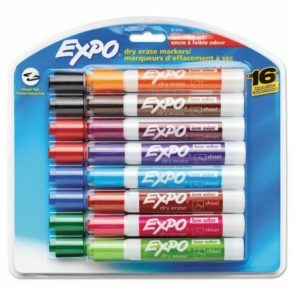 I use them in my office, bathroom, and kitchen to keep like items together and chaos at bay. I use dry erase markers a lot for our family calendar and important reminders. My favorite place to use them is actually on my bathroom mirror when I can keep track of to dos and write inspiring quotes that keep my motivated and working towards my goals. 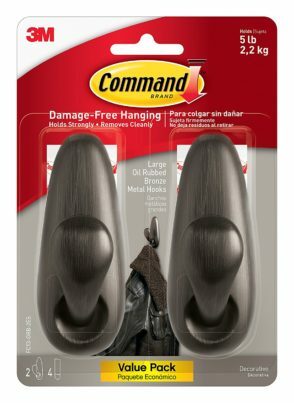 3M Command hooks are great for organizing! We use them for everything from hanging seasonal decor to strategically placing them to hide cords and wires behind table legs. Best of all, they can easily be removed without causing any damage. We have a little organizer like this in our sink. 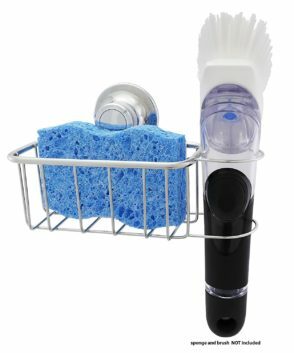 I like it gives the sponge a home, and keeps it from sitting in puddles of water between uses. 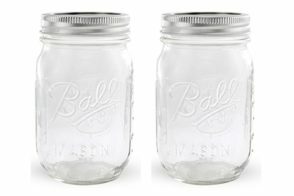 Versatile storage solutions are my absolute favorite, which is why mason jars are a must-have in our house. I use them to store everything from salad dressings and homemade sugar scrubs to craft supplies, paint brushes, and hair supplies.